Your enquiry has been sent to Rob Whalley and they will be in touch directly within the next few days. 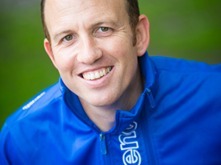 With over 20 years of experience Rob has helped hundreds of people like you achieve their goals, from losing weight to getting back into shape, resuming training after injury to completing fun runs and achieving a life-long challenge. All programmes are tailor made to suit your goals, circumstances and fitness level. I Want a Personal Trainer covers Sutton Coldfield, Birmingham and surrounding areas in a location convenient to you, be it your own home or local park. Personal Training is a very personal thing and what works for one person won’t necessarily get results for another. During an initial consultation I learn about you; what your goals are, what’s been stopping you from achieving them and what it will take to get you achieving. Above all it’s about results, by establishing a training programme you enjoy and understanding what motivates you to push that extra bit, I put everything in place to make sure you achieve your goals. Many people I train have tried gym based programmes before which just haven’t worked for them. They find them intimidating, inconvenient and demotivating. Training from home is a great alternative. You don’t have to travel, you’re in an environment you feel comfortable in which means you can train more effectively. For some, indoor programmes are ideal, privacy increases comfort and confidence. It’s as convenient as you could wish for and training in all weathers isn’t for everyone! However, training outside in the fresh air, really appeals to lots of my clients, so using a local park for sessions is a great option. And in Sutton Coldfield, having Sutton Park on our doorstep provides an excellent training ground. Whether you choose to train indoors or outdoors, or a combination of both, I’ll travel to you and bring the equipment we’ll need. Everything is taken care of, so there can be no more excuses! When I first met Rob I was overweight and lacked motivation. I'd decided on a personal trainer to kick start a weight loss and fitness programme and chose Rob for his easy going likeable personality and the fact that he came to my house rather than meet at a gym, (I have been a member of a gym for 4 years and am amongst the majority that just do not go! Together with most of the PT's I called insisted on meeting me at a gym - waste of time for me as a gym member I never wanted to go there, so home based was what I wanted). We decided on a programme that included getting me running (for the first time in a long time) to assist with fitness/weight loss and free weights for toning. I must admit the training was hard at first and I often thought my lungs would burst and that this whole thing was a mistake, but through Rob's patience, dedication, enthusiasm and encouragement I am now running 3 or 4 times a week plus toning with the dreaded weights and loving every minute. I could sing Rob's praises for paragraphs, but bottom line - would I recommend a personal trainer to anyone for any training regime - be it like me, a complete novice aiming to lose weight and get fit or an enthusiast training for a marathon? - yes I would. Would I recommend Rob - only 110% - Fantastic. Rob - I cannot thank you enough for the "new me" - your patience (in abundance) and the fact I haven't a clue what is going on in Eastenders (as I am out running) is the best reward. As you can imagine - you are a star! We enlisted the help of Rob in the above capacity some years ago now and we have tried to meet with him three times per week subsequently. We cannot speak too highly of Rob - as a professional young man: * He has a thorough understanding of personal fitness regimes * He understands the workings of the human body in conjunction with his job * We have always felt stretched to the limit but not so far as to feel uncomfortable * His subtle and friendly approach has enabled us to continually improve our fitness performances as time elapses On a general basis, the following points have also proven to be important to us: * Rob has always been flexible as to the time when he can see us * Never on one single occasion has he been late for an appointment * Never on one single occasion has he had to cancel an appointment *He has been most understanding when the reverse has applied due to unforseen business commitments at very short notice Rob would come with a strong recommendation in every respect on both a professional and personal basis. We are sure that any client will enjoy thier sessions with him and feel much better for them.